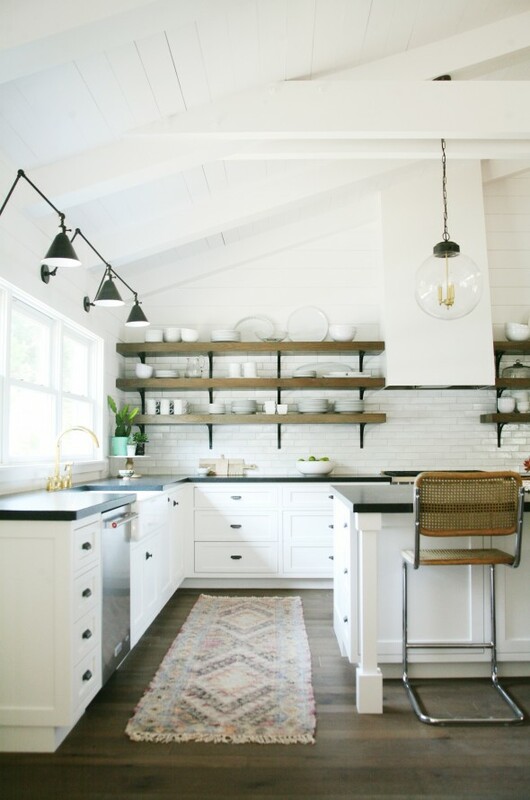 A vintage runner in basically any kitchen will add HUGE amounts of instant charm and character! 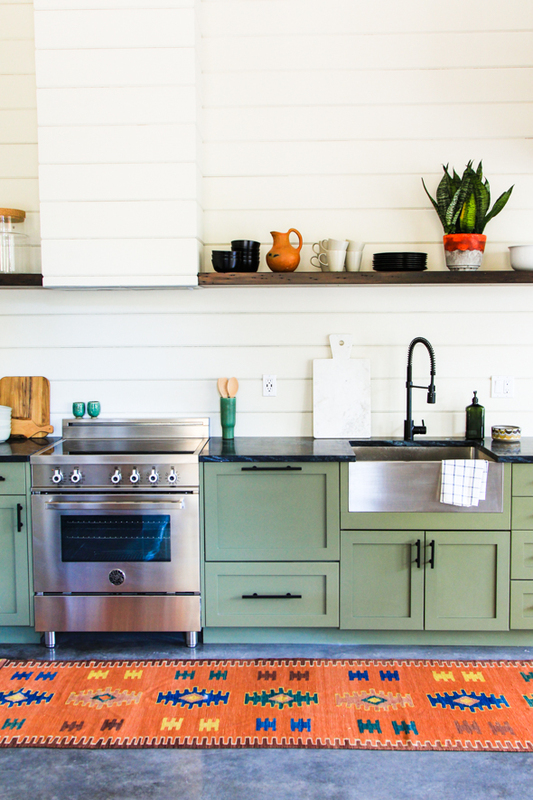 It’s my favorite accessory to choose for any kitchen space we’ve ever worked on! They for sure can get pricey, but I have a couple of go-to sources that always come through for me. Here are a few of our favorites available now for less than $300! 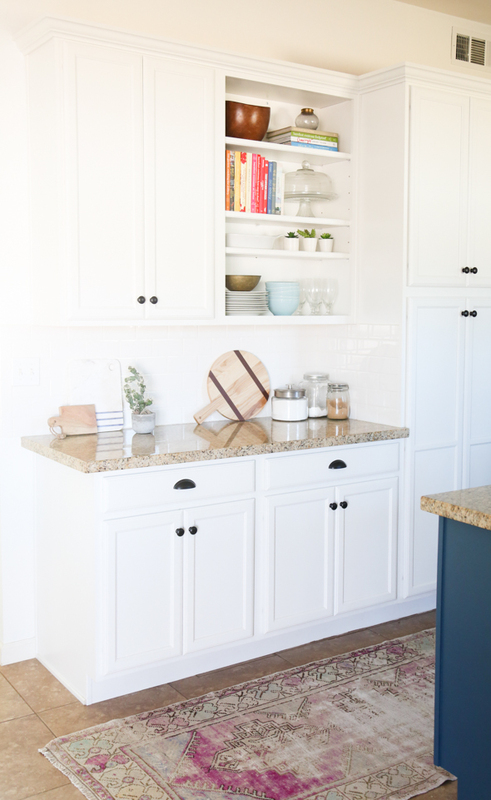 I just love the runner in Kara’s kitchen, and I wish it was still available at Target. I currently have a vintage-look runner from Target in my kitchen. I’m pretty happy with it, but it really slides around. I bought a thick pad for it when I purchased it (Target recommended it in the listing.). I’m wondering if that’s part of the problem now. The flooring below my rug is laminate….any tips on keeping it in place? Thanks! Great post. What are your thoughts on runners in the bathroom in place of bath mats? If you’re fan, do you have any cotton recommendations? I’ve read you need it to be cotton to avoid mold growth due to the wet conditions. Thanks Jenny! I love runners in a bathroom! Cotton or any natural fiber is a safe bet! You can always wash them or take them outside to sit in the sun for a few hours if needed! I have one in my kitchen! My rug pad is very thin and always slipping. Any other suggestions other than ikea—their shipping is insane! 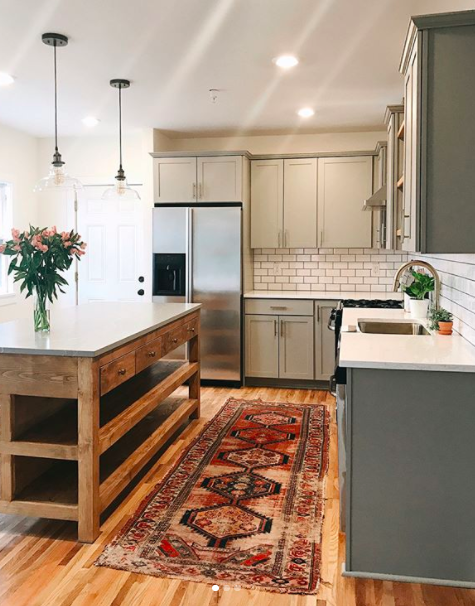 I love the vintage rugs you use! I’ve never been brave enough to try vintage (or maybe I’m too cheap- lol). I currently don’t have a rug in my kitchen right now, I think I might need to remedy that now! Right now I have a gray outdoor runner from ikea and I don’t have to worry about it. But.. these are so pretty and knowing that I can get one for under $50 makes me really want to do it! But I’d hate to waste the money if it’s just going to be ruined by kitchen spills. because of the pattern marks are not very noticeable. Thank you for the great rug suggestions! 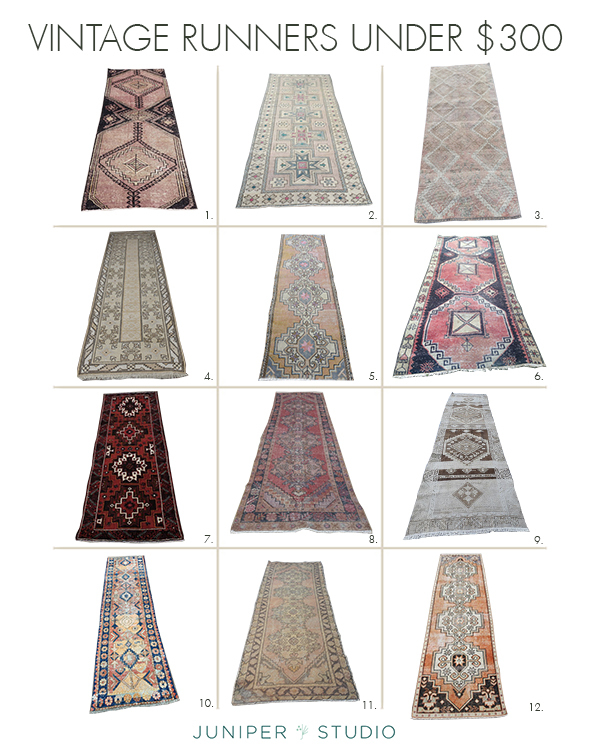 Beautiful rugs – all of them! I’d love a similar post with area rugs. 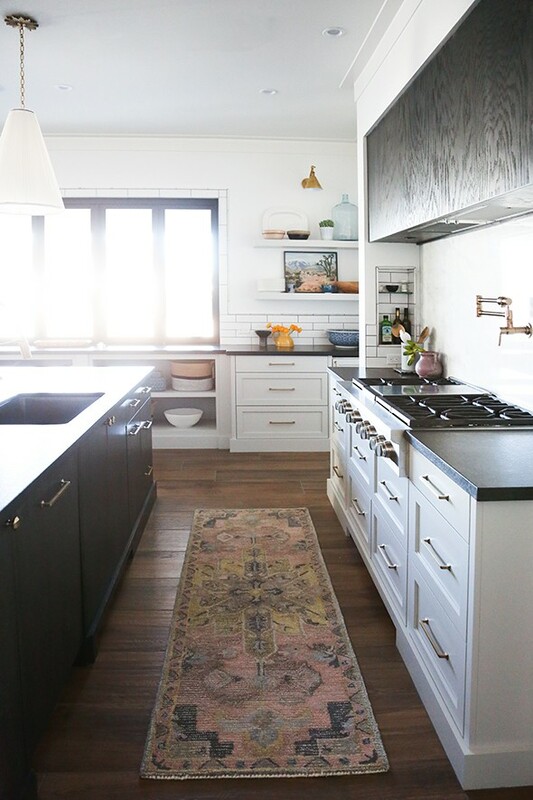 I love these vintage rugs and the newer vintage look rugs. 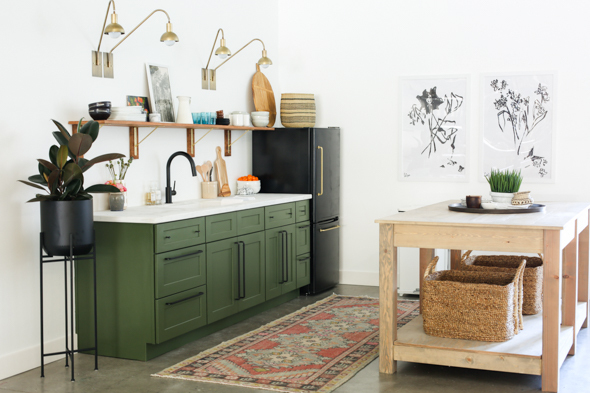 do you have a source for the breuer counter stools in the first picture? love your blog! Do you have the source for the first picture? Thanks! Very nice your post is really great and awesome pictures you captured. Thanks for sharing it. Oh wow this is such great inspo! 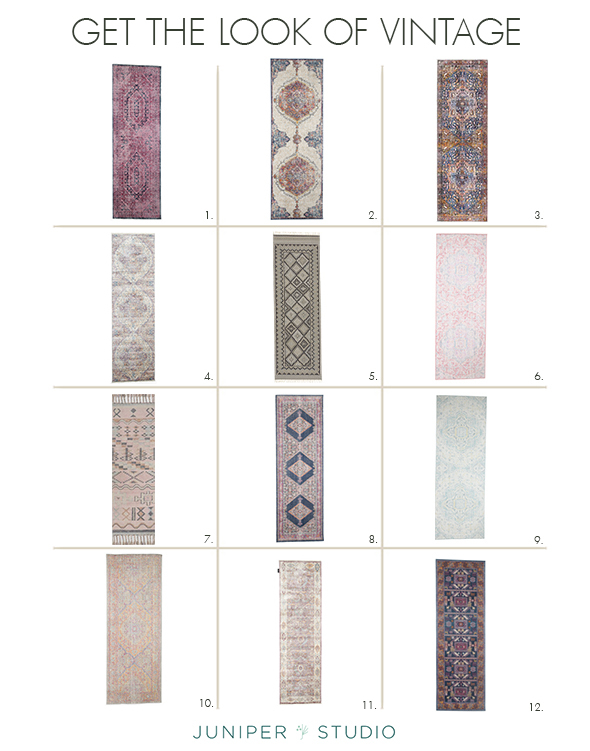 I keep saying I need a slim rug for my kitchen and these are all so gorgeous! Vintage (or at least vintage inspired) may definitely be the way to go with this one! I just love these vintage runners. 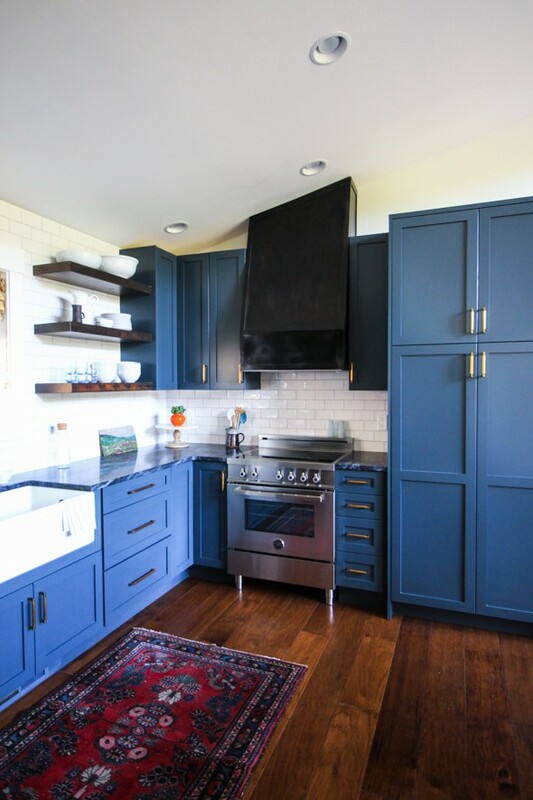 They are looking amazing and enhancing the beauty of the kitchen. Thanks for sharing the post. I am very excited to read in the next investment property. I love live in a rural area of with this design. So cute! It is amazing how a simple rug runner can brighten up a room! I have several in my home and love them.